Our range of products include floating disc/drum type oil skimmer, floating funnel type oil skimmer, floating disc type oil skimmer, floating suction type oil skimmer and oil water separator. Leveraging on our immense domain knowledge and vast industry experience we are offering our valued clients a wide assortment of Floating Type Oil Skimmers such as Floating Funnel Type Oil Skimmer it is designed for heavy duty oil skimming operations up to 5000 liters per hour. 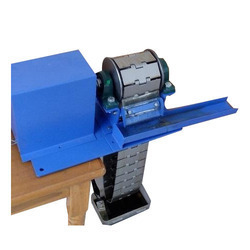 We use the finest grades of basic raw materials and produce these in accordance with international standards. Our patrons can avail these at industry leading rates. We offer to our clients advanced technology incorporated Floating Disc Type Oil Skimmers that are known for their superior performance and longer durability periods. Our expertise and in depth knowledge on the subject allows us to manufacture them with a user friendly operating console. On/ off switch, speed control, forward/ reverse operation. We are engaged in manufacture, supply, and export of a huge array of Floating Type Oil Skimmers such as Floating Suction Type Oil Skimmer that is designed for heavy duty operations. We use the finest grades of PVC pipe and other basic raw materials including metal steel alloys or mild steel powder coated materials to manufacture this. 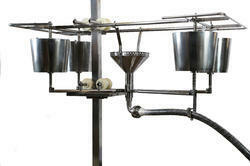 It offers long service life and is widely used in diverse sectors. Our esteemed clients can avail the same at reasonable prices. We are providing Oil Water Separator to our clients. 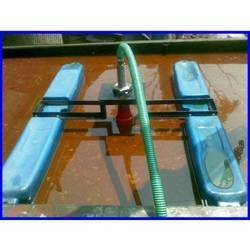 Most efficient and cost-effective solution to water treatment problems. Clean water with no chemicals - 95% of 20 microns/ up to 20 ppm oil droplets removed in the single pass. Foot Print: Compact. 10% the size and weight of conventional systems. from 2 to 24 m3 = 1 to 1.5 m2 area. Weatherproof MOC closed loop system. Effluent can be recycled for continuous treatment. Low maintenance - Hydrocyclone has no moving parts. Modular add-on features allow customers to achieve higher production efficiencies -cleaner environmental outcomes while meeting government regulations, compact design for reduced footprint and weight, wear resistant materials of construction for increased reliability and low maintenance. The flexible operation for variations in flow-rates. Very short residence time (in the order of seconds)-Quicker separation of oil solids reduces many issues like odor, dissolved hydrocarbon process, and bacterial fungi generation etc. 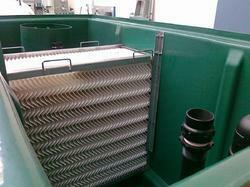 Looking for Floating Type Oil Skimmers ?